The Occupational Safety and Health Administration (OSHA) creates standards governing the safety and health of construction workers as well as the public. Not only do they regulate the industry, but they also monitor and administer regulations to ensure compliance. 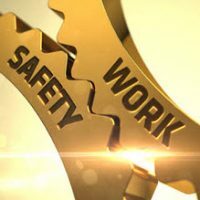 Periodically, OSHA releases health and safety guidelines governing broad areas of health and safety standards in the most hazardous workplaces. A construction site is a prime example of the kind of worksite OSHA regulates and monitors for compliance. According to OSHA, the three leading causes of death in the construction industry are attributed to falls, being struck by an object and electrocution. OSHA has listed these causes as the most fatal and responsible for over 63% of fatalities among construction workers. Falls are the leading cause of death in the construction industry. Falls are covered under 29 CFR (Code of Federal Regulations) 1926 Subpart M of the federal regulations. The cause of fall accidents stem from not anticipating the proper equipment that is necessary to complete a given job. If proper equipment is available and work is anticipated beforehand, workers will not have to engage in unsecure climbing. Workers who are not properly trained on anti-fall equipment also cause falling fatalities. Unfortunately, even workers who do access to anti-fall protection devices can lack proper training. This results in accidents that are completely avoidable. Subpart M of the CFR has an entire section dedicated to scaffolding as well as its proper usage and training guidelines for employers. Electrical safety regulations are covered under Subpart S of 29 CFR 1910. This regulation places an emphasis on the first line of defense: personal protection. Having the proper protective gear when working around electricity can be the difference between life and death. This section also provides guidance on how electricity is transmitted in the most unexpected ways. This portion is to inform workers to be aware of ways electricity can pose a danger outside of the normal instances. As with falls, regulators want to ensure that contractors are providing its employees with the proper training to ensure that safety equipment is properly utilized. Being struck by an object is another major cause of death in the construction industry. This category is peculiar as compared to the rest, because it can manifest through natural and man-made causes. For example, a careless forklift worker can crash into a fellow worker if they are not well-trained in forklifting. Alternatively, an unsuspecting worker can become the victim of a downed tree that has become loose due to heavy winds from a previous day. Such circumstances are not always discernible. That is why OSHA standards place an emphasis on training and the dissemination of life saving information. Federal law requires that all construction businesses meet OSHA health and safety standards. Attorney Brendan A. Sweeney has significant experience in advising and drafting agreements that will ensure your compliance with OSHA regulations and standards. Your workers deserve the best protection against workplace hazards. Contact us now for a consultation.